It has been suggested that a high-quality examination that ensures the detection and removal of all neoplastic lesions is key for screening efficacy. Adenoma detection and cecal intubation are the most commonly used. 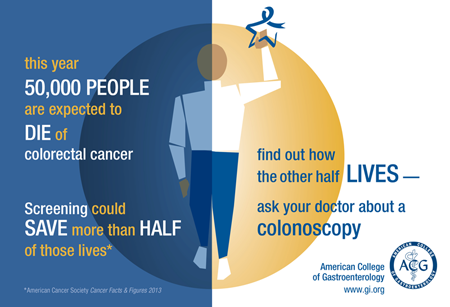 Read this study on proper bowel prep key to effective colon cancer screening. Inadequate bowel-cleansing before a colonoscopy can result in high miss rates for precancerous polyps (adenomas) and a need for earlier repeat tests, a new study finds. “Our findings of a miss rate of 42 percent for all adenomas and 27 percent for advanced adenomas suggest that suboptimal bowel preparation has a substantial harmful impact on the effectiveness of colonoscopy, and follow-up examination within one year should be considered,” said study lead author Dr. Benjamin Lebwohl of Columbia University Medical Center in New York City. Since colorectal cancer develops slowly over time, effective screening and early detection of the disease is key to a patient’s survival. Colonoscopy screening enables doctors to identify and remove precancerous polyps (small growths in the colon) before they turn into cancer. In order for this procedure to be effective, however, patients’ bowels must be thoroughly cleansed so that doctors can spot any abnormalities. The success of the bowel “prep” depends largely on individual patients, who have to carefully follow instructions about taking medication at home in liquid or tablet form that causes diarrhea, thereby emptying the colon. Among those with inadequate bowel preparation, 17 percent needed a repeat colonoscopy within three years. The repeat procedures (with proper bowel preparation) uncovered 198 precancerous polyps. Of those polyps, 83 were only spotted during the follow-up colonoscopy — revealing a miss rate of 42 percent.